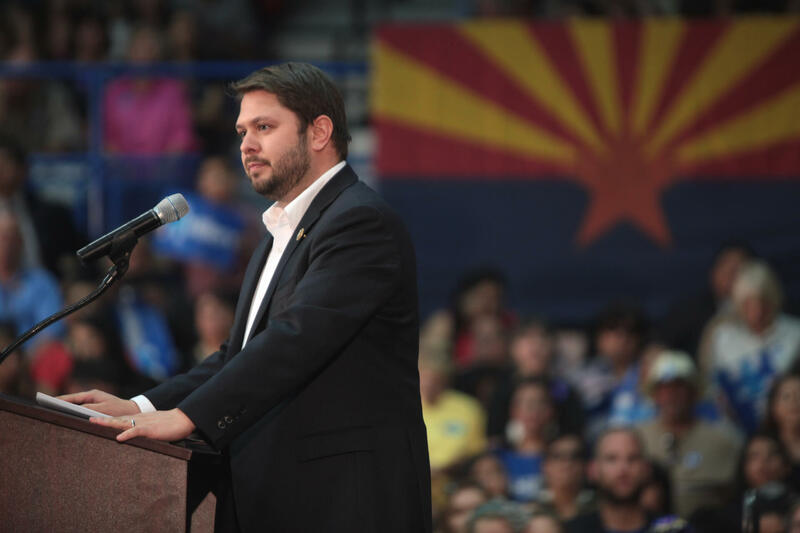 WASHINGTON – Arizona Rep. Ruben Gallego is fuming over an inflammatory video from White House aide Stephen Miller’s high school days that resurfaced this week on social media. Miller, President Trump’s senior policy adviser, is under renewed scrutiny this week for his role in reportedly encouraging the abrupt ouster of the administration’s homeland security team. Scott Dworkin, the co-founder of the Democratic Coalition, posted the Miller video on Twitter Tuesday, writing, “Would be a shame if it went viral … again.” The post has been retweeted more than 23,000 times. Gallego wasn’t the only member of Congress to express outrage over the video. A friend of Miller’s, Chris Moritz, told the Post in 2017 that the janitor line had been a joke. “I think everyone at the time, especially those who knew Stephen, understood that this was a senior prank,” Moritz said.